These Terms and Conditions apply to all purchases from our website. Please read them carefully before placing an order. If you have any questions regarding our Terms and Conditions, please contact us. We must receive payment of the price of the products and any delivery charges before we can accept your order. We reserve the right to restrict the number of products you may order and to refuse any order. If you have provided us with your email address you will receive an email from us confirming that we have received your order. This email is sent automatically and does not mean that we have accepted your order. Our acceptance of your order takes place upon delivery of the products. Only when we have accepted your order is a binding contract created between us. Our full geographical address is Midlands Framing & Memorabilia Ltd (MFM), 58 Brook Street, Loscoe, Derbyshire DE75 7LP. All orders will be charged in Pounds Sterling as shown on your order confirmation. While we try to ensure that all prices on our website are accurate, mistakes do sometimes occur. If we discover an error in the price of products you have ordered we will contact you as soon as possible and give you the option of either reconfirming your order at the correct price or cancelling it. If we are unable to contact you we will treat the order as being cancelled. If the order is cancelled, we will refund any money that we have taken from you. Credit card and debit card payments are made through PayPal, which makes automatic checks for suspicious and potentially fraudulent transactions. 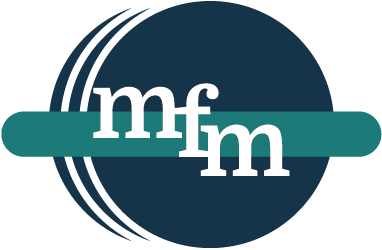 In such cases, or if we have any reason to suspect a transaction is fraudulent, we will take steps to establish whether the transaction carries an unacceptable level of risk to MFM. We reserve the right to refuse any such order, for any reason. All orders are subject to availability of products. If products you order are not available we will notify you (where possible) and, if we have received the price and the delivery charges of the unavailable products, we will refund them to you as soon as we can. Our aim is to get your order delivered as quickly as possible, that is, within 2-3 working days (not Saturday or Sunday) of receipt of payment to addresses within the United Kingdom. If your card payment is deemed suspicious there will be a delay, so please contact us if you require your product urgently. All products require a signature when delivered. If products are returned to us as undeliverable we shall attempt to contact you to arrange re-delivery. This may incur an additional postage charge. If we are unable to contact you we will refund the price of the products only. Once the products are delivered they will become your risk and we will not be liable for any subsequent damage, loss or destruction to them. Please note that missing parcels to UK addresses sent via Royal Mail cannot have a claim started until 15 working days after date of dispatch. For overseas orders, a claim cannot be started until 25 working days have passed since the date of dispatch. Whilst we sympathise, we are unfortunately unable to offer any refund on missing parcels until Royal Mail or APC Overnight have deemed the parcel to be lost. This can take up to 28 days from the date of claim. The Consumer Contracts (Information, Cancellation an Additional Charges) Regulations 2013, effective from June 13, 2014, provide customers in the UK with the right to cancel an order for products at any time up to the end of 14 days following the day on which the products were received. If you wish to cancel your order please email us using our contact form or write to us at Midlands Framing & Memorabilia Ltd, 58 Brook Street, Loscoe, Derbyshire DE75 7LP with details of your cancellation. If you have already received the products you must carefully repackage and return them to us at Midlands Framing & Memorabilia Ltd, 58 Brook Street, Loscoe, Derbyshire DE75 7LP. We do not cover the cost of delivery of returned goods. You must provide us with the original invoice or other proof of purchase. You must return the goods to us within 14 days of notifying us you wish to return them. Until you have returned the products to us, you must keep them in your possession and take reasonable care of them. We will credit the price of the cancelled products provided they are received undamaged. All items must be returned ‘as sold’: in resalable condition, undamaged, in original packaging. If a returned item fails to meet one of these requirements we cannot accept the item back. If the products are in any way damaged upon return we will be unable to offer a refund, even if damage occurred during the return transit. We have a right to deduct monies from refunds where goods show signs of unreasonable use leading to diminished value. We will refund all monies received, within 14 days of receiving the goods back. All products are described in good faith, and while we strive to be accurate at all times, mistakes occasionally happen. All measurements, for example of photographs, are estimates. All products shown are stock images and not necessarily a photo of the item you will receive. Signatures and their placements might vary. Please contact us if you believe the goods you received were inaccurately described. Midlands Framing & Memorabilia Ltd has a 100 per cent track record for authenticity. A director from MFM is present at the majority of signing sessions to witness the signatures on the items we sell. However, some products we stock are bought from other reputable and established dealers. If you have any reason to doubt the authenticity of a signed product bought from MFM, please contact us immediately. If products we deliver to you are not as ordered or are damaged, defective or of incorrect quantity you should contact us within two working days of delivery. We will replace the incorrect, damaged or defective products or at our option, credit the price and delivery charges of those products to you. If you do not receive products ordered you should notify us within 14 days of the date of your order. We will deliver the products ordered or, at our option, credit the price and delivery charges of the non-delivered products to you, or if we have not accepted your order and have been unable to contact you, we will notify you of the reason for non-acceptance.